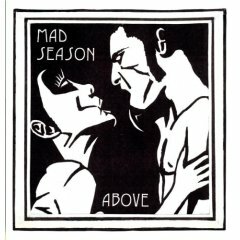 Mad Season came together in 1994, led by Mike McCready, Barrett Martin and John Baker Saunders. McCready met Saunders while in a Minneapolis rehab center to battle a drinking and substance problem. McCready was already well known in Seattle for his contributions with Pearl Jam and Temple of the Dog and Martin with the Screaming Trees and Skin Yard. 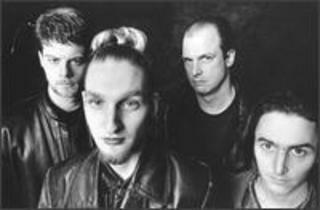 McCready then brought in his friend, and Alice in Chains frontman, Layne Staley to fill out the band. Screaming Trees frontman Mark Lanegan provided guest vocals including the haunting song he sang with Layne Staley, "Long Gone Day". Above peaked at #24 in Billboard's album chart and also contained the cross-format Top 10 hit "River Of Deceit". Both Staley and Saunders died of drug overdoses. Certified gold in June 1995, with "River Of Deceit" a Top Ten hit and "I Don't Know Anything" achieving Top 20. Click To Buy It! 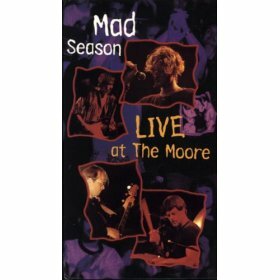 This is an incredible live performance recorded at Seattle's Moore Theatre on April 29, 1995. Click To Buy It!